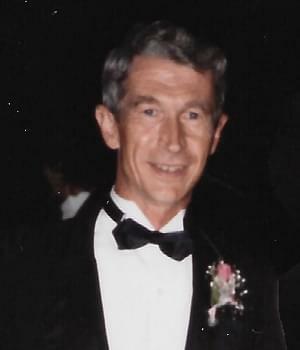 Richard T. McLain, 77, of Mt. Vernon, passed away at 8:25 p.m., April 1, 2019, at his home. Richard was a member of Zion United Methodist Church in Mt. Vernon, and a veteran of the United States Air Force. He retired from Illinois Bell/AT&T, after 25 years of service. He also, at that time, opened Dogwood Carwash, on the east side of Mt. Vernon, and operated it for several years. He also owned Dogwood Technical Services, and serviced phone systems for the City of Mt. Vernon, Jefferson County, and other area businesses. When he decided to retire completely, he then dedicated his time to helping his family and volunteering at his church, until his health began failing. In accordance with his wishes, cremation rites have been accorded, and the family of Mr. McLain will be hosting a celebration of his life at 12:00 p.m., Saturday, April 20, 2019, at Zion United Methodist Church in Mt. Vernon. Online condolences may be made at the Osborn Funeral Home website, www.osbornfuneral.com, or on the funeral home’s Facebook page. In addition to his wife, Norma Elaine McLain, of Mt. Vernon, he is survived by one daughter, Regina Minor and husband Mike; three grandchildren, Cheyenne Youngblood Mellott and husband Cody, Raquel Minor, and Dakota Minor; and two great-grandchildren, Savanna Mellott and Sierra Mellott. He was born June 27, 1941, in West Frankfort, the son of Russell L. and Mabel (Malcolm) McLain. On October 18, 1959, at Union Chapel Church in Texico, he married Norma Elaine Rollinson, and she survives him in Mt. Vernon. He was preceded in death by his parents; one son, Darrell R. McLain; two brothers, Russell McLain and James Robert McLain; and one sister, Shirley Divan.